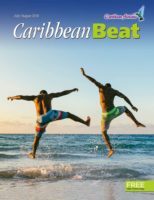 Fifty years ago, England’s first real Trinidad-style Carnival took place – indoors, in the middle of winter, at St Pancras Town Hall. The vision of Claudia Jones, this was the precursor to Notting Hill Carnival. It came to an end after six years, but in 1967, it was followed by the first Notting Hill Carnival, which took to the streets and followed the Carnival traditions first advanced in England by Jones. While little remembered for many years, Jones (1915 – 64) is gaining recognition for her activism. She faced jail and exile for her political beliefs while living in the United States. Later extradited to Britain, she founded the first weekly black newspaper in England, the West Indian Gazette. Last year saw a fascinating second book about her published, Carole Boyce Davies’ Left of Karl Marx: The Political Life of Black Communist Claudia Jones. In England a postage stamp was issued in her honour, and two plaques were put up at Portobello Road and Powis Square in London, calling her “the mother of Notting Hill Carnival”. Born in Trinidad, Jones moved to Harlem with her family when she was eight. As she grew up, she became concerned about working conditions for the poor, and this led her to join the Young Communist League of the Communist Party of the USA, becoming a writer and later editor of a party newspaper. As a leading speaker for the party, she was alone in presenting the perspective of a black working woman on labour and discrimination. During the McCarthy era, she was jailed four times, and in 1955, she was deported to England, where she founded her newspaper to serve the Caribbean immigrant community. Jones went to two leading Trinidadian artists to put the show together. She chose as director Edric Connor, already a prominent actor and singer, who was having great success in feature films and had just been the first black actor to appear in a Royal Shakespeare Company production in Stratford. As choreographer, she chose a talented Trinidadian dancer who had moved to England only months before, Stanley Jack. 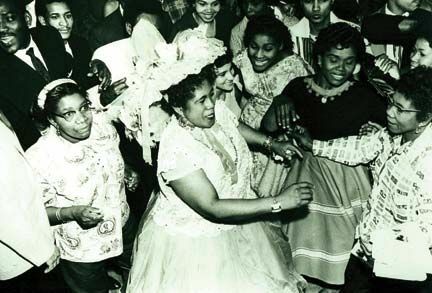 The first London carnival, on January 30, 1959, was a packed event and a great success. 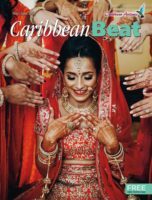 Connor, the director, had told the Jamaica Gleaner, “We want to make it as much like the Port of Spain one as possible.” A crew worked from midnight to 7 am to transform the hall into a West Indian setting. But the hall proved inadequate, as over 1,000 people showed up to dance and party. Connor had arranged for the BBC to broadcast live a half-hour glimpse of the carnival, which featured the crowning of the Carnival Queen and the cabaret portion of the evening. The main event was a beauty contest with 12 contestants, six from Jamaica, four from Trinidad, and one each from British Guiana and St Vincent. The winner got a free round trip to Trinidad for Carnival. Corinne Skinner-Carter was blunt at the 1996 symposium in stating the importance of this. Also featured were Boscoe Holder and his troupe, performing “Carnival Fantasia”. 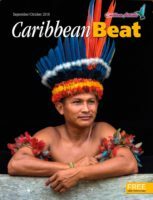 There were exhibitions of limbo dancing, tamboo bamboo, and bongo. Fitzroy Coleman performed on his guitar and the young jazz singer Cleo Laine performed with Guyanese pianist Mike McKenzie and his trio. Perhaps Jones had been inspired by listening to Terror’s record. Stanley Jack remembers they also did a jump-up around the building and back into the hall. They had no trouble with the police, who were too stunned and amused to see any problem. 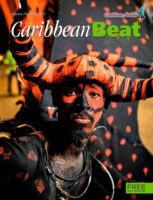 In the souvenir programme, Jones wrote: “It would be unfair for me not to tell you that we have still another determination, that is, to make the…Caribbean Carnival an annual event.” Her determination became a reality and for the next five years her West Indian Gazette sponsored highly successful carnivals. The next year’s carnival was held in the Lyceum, where a Jamaican nurse won the queen contest. 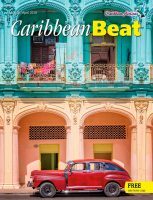 The cabaret featured Elaine Delmar again and the Ray Ellington orchestra, which for many years featured Laudric Caton, Trinidad’s great electric jazz guitarist. 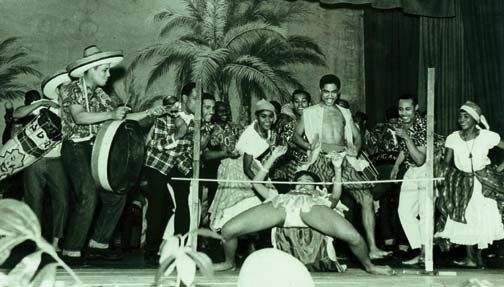 Stanley Jack was again in charge and the show featured his limbo dancers. Jack remembers he invited lots of British theatre and film people, who came and supported these carnivals. The 1962 carnival was held again at Seymour Hall, on March 16. 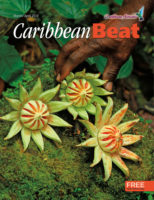 This was a particularly momentous one, because Jones and her committee had arranged for the Mighty Sparrow, by then the most celebrated calypsonian in Trinidad, to be there. While Sparrow had been to the US as early as the late 50s, this was his first trip to England, and it was highly anticipated. Veteran broadcaster Alex Pascall remembered that it was a tense time waiting to see if Sparrow would make it. He did, but there were problems with the band, and in the end he performed alone with his guitar. Also featured were Curtis Pierre and the Dixieland Steelband, who had come to England in 1961. 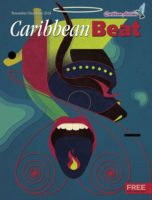 The show was produced by Pat Castagne, who had come over from Trinidad to work for the High Commission, and the cabaret was directed by Boscoe Holder. Also, for the first time, the carnival went to Manchester, but the turnout was so poor that it seemed participants were performing for each other. Lord Kitchener was living in Manchester at the time, and despite the poor attendance, the trip led to a fateful meeting of the two legends of calypso. Sparrow convinced Kitch to return to Trinidad, which he did later that year. That changed the face of calypso, with the start of the Revue calypso tent. 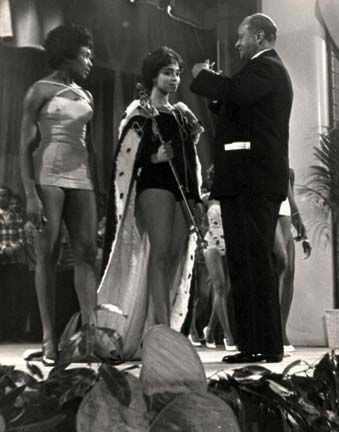 The 1963 London carnival got away from the beauty contest and replaced it with a carnival masquerade costume competition, won by a Trinidadian playing King Sailor. In 1964, the costume contest was won by two men portraying jab jabs. Dixieland steelband was back to perform, as were Gene Lawrence and his combo. 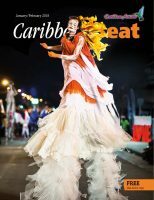 The six years of the Claudia Jones carnivals were remarkable in bringing together the West Indian community to celebrate their culture. Indeed, a great many of the leading figures in many aspects of culture were involved. Judges for the beauty and costume competitions included writers such as George Lamming, Jan Carew and Andrew Salkey, actors like Cy Grant, Pearl Prescod, Nadia Catouse and Lloyd Reckord, and legends like Edric and Pearl Connor and Amy Ashwood Garvey, as well as prominent business people and politicians. Both the newspaper and the carnival stopped after Jones’s death in December 1964. But with the creation of the Notting Hill Carnival a few years later and its tremendous growth since, what Claudia Jones started has become bigger than she could have imagined, attracting up to two million people every August.